Discussion in 'Tank Builds' started by Project Tanked, Feb 9, 2019. Decorator Crab (Spider). Has Spiderman Zoas growing on him after he attached a few polyps to himself. Looks like it is the abs to pvc transition cement to me that's what mine looked like when I went from bulkhead to pvc atleast. Thank you! It'll look better I think once the rocks are darker and the same color and I get Coraline to grow on the glass in the back and stuff. I have Pulsing Hands set up in a few places around the back of the tank and hoping they'll grow up the back of the glass in time. 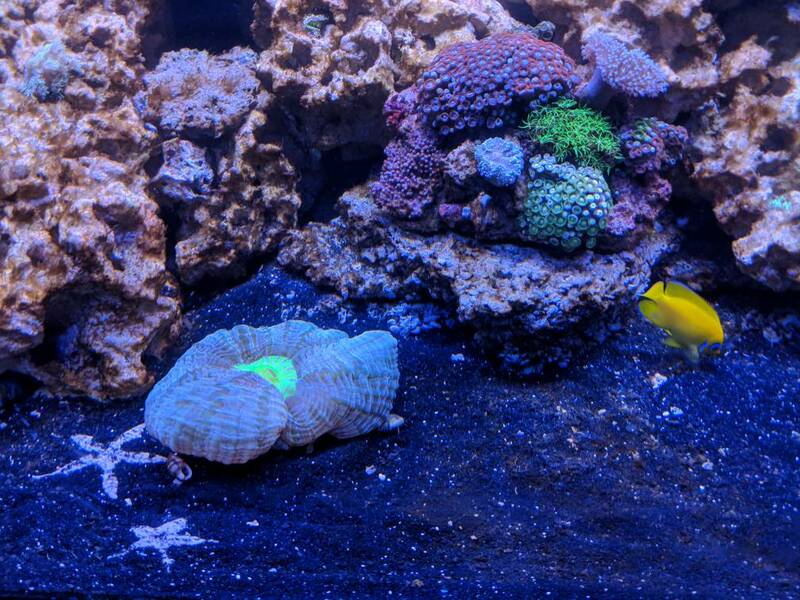 You can use a magnetic frag disk to get them to grow right on the back of the tank. That way you keep it off the rocks for as long as possible. 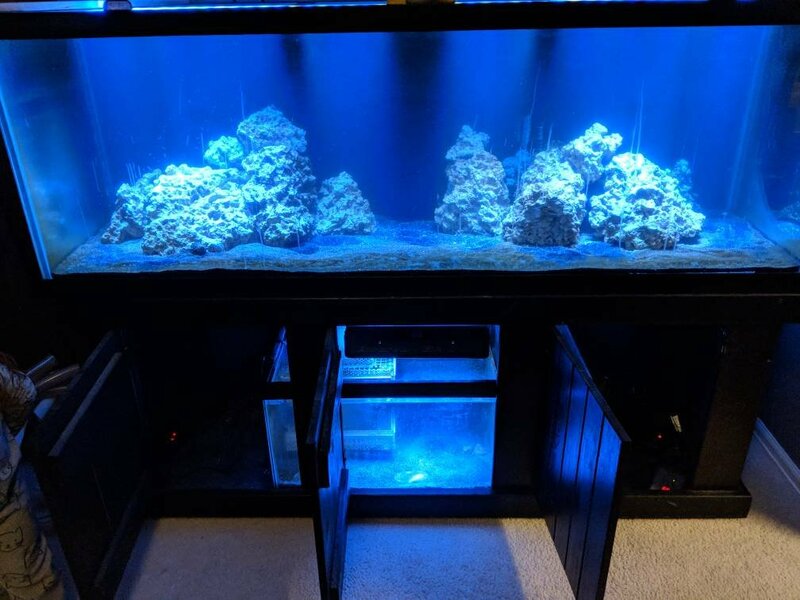 I have Pulsing Hands set up in a few places around the back of the tank and hoping they'll grow up the back of the glass in time. a pulsing Xenia? 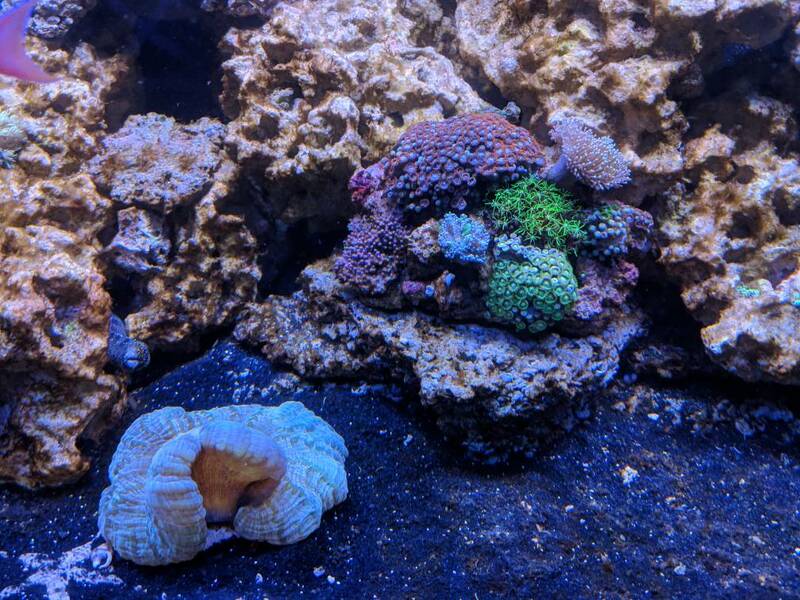 green star polyp? what is this hands you speak of? Pulsing Xenia. And I know they're like a weed in a tank but I like how they look and move. So do you actually have abs in between those pvc fittings?